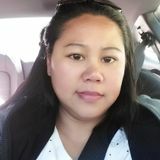 Loving and responsible nanny looking for new employer. Want to connect with Meneliza? I hope you are having a good day. I am looking for a caretaker job in Vancouver, British Columbia. My goal is to contribute my experience as a caretaker. I will work full-time live-out. In my past 7.5yrs of experience my main duties is to provide safe and happy environment for kids in the absence of parents. Playing with them, doing craft things, coloring, reading books and teaching them letters and numbers. Also doing house work when kids are out.